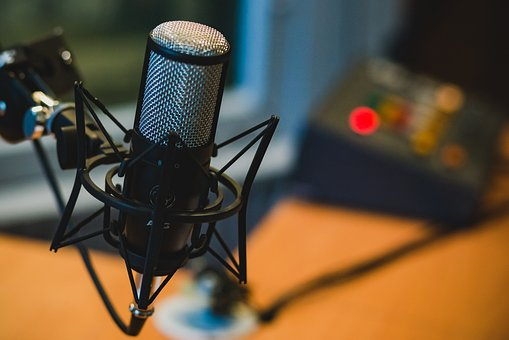 The report released by Edison Research on the ratings of traditional radio and podcasting (in the United States) continues to elicit comments and reactions from experts in the field. Among these, James Cridland, who calls himself "radio futurist" and is a consultant for radio companies and the theme lecturer, said on the feared possibility that podcasting could represent the gravestones of terrestrial radio broadcasts. Cridland begins his analysis from a figure that seems comforting: the ratings of the Americans are still constituted for 58% by the radio (AM, FM, sat, platform, the latter, which in the USA actually coincides with Sirius XM) and only for 4% from podcasting.The same study by Edison enhances the growth of listening to Personal on Demand content, which would be duplicated in the last four years, but it is clear that the percentage is still unbalanced towards the radio. According to Cridland, listeners of broadcasting and podcasting would follow very different patterns of behavior. Listening to the radio, in fact, would be a habit so ingrained to become automatic: turning it on is a gesture that we naturally do every time we get in the car, just like pressing the clutch at start; not to mention that still several Americans ( even if less and less, it must be said as a consequence of the disappearance of the FM stand-alone receivers ) have a radio-alarm clock on their bedside table. Listening to the podcast, on the other hand, would be the result of a deliberate choice and, given that it is much more common than spoken content than music, the listener would dedicate his full attention to it. Cridland, moreover, differs from those who say that the diffusion of podcasts is facilitated by smart home speakers (recently disembarked in Italy), because listening would be preferred – says the expert – through headphones. On the prevalence of the first of the two behaviors, the numbers speak clearly. But traditional radio can not be completely safe: Cridland moves the magnifying glass to another aspect of the report, which reveals how, among the people who listen to podcasts, a third one claims to have listened to at least one in the last 24 hours , while only 30% listened to the radio as well. In a nutshell, listening to podcasts could cannibalize the radio (assuming, of course, that both live under the same roof, assumed everything to prove). According to the expert, however, the radios would not be so unprepared and would be implementing strategies both of content and based on advertising: the big players of the broadcast, in fact, would have started to place on the market in combination spaces in the broadcast and in the Personal Option Digital Casting (of which the term podcasting is acronym). In terms of content, however, there are several broadcasters who produce podcasts " breaking up" their on-air transmissions (for example, UK’s Global which produces "best of podcast" of Radio X’s broadcast Chris Moyles Show), although this, according to Cridland, would lead to an underestimation of the potential of downloadable programs. Previous PostPodcasting Is Here To Stay and Businesses Will Love ItNext PostApple Music Versus Spotify, The Winner is Clear!